Did you know that in the United States alone, there are more than fifteen million people who snore when sleeping? It is a problem that most people are facing, either as a snorer or you usually sleep beside someone who snores. If you sleep with someone who snores, it can be really annoying sometimes. But in most cases, it might be your spouse, friend or relative so it can be hard to do away with them. The option you are left with is to find earplugs for sleeping with a snorer or headphones for sleeping that will blackout any noise and let you enjoy music at the same time. 1 What are the best earplugs for sleeping with a snorer? 1.1 Do earplugs really block the snoring sound? 1.2 How effective are earplugs? 2.1 What should you consider when buying an earplug? What are the best earplugs for sleeping with a snorer? Do earplugs really block the snoring sound? I know this is one major issue before we even begin. Do earplugs even work in the first place? Yes, the earplugs do work. But frankly, some earplugs do not block all the external sounds. That is why today I will be talking about the best earplugs for sleeping that will help you have a silent night. As I mentioned above, the best earplug should block out most, if not all of the external sounds. So if you follow this buyer guide, you might be able to get the best that suits your needs. Are earplugs safe to sleep with? This another huge question asked by many. From experience and research, I can confidently say that earplug works but it also comes with some demerits. These earplugs are made of a soft polyurethane foam that has a smooth finish which makes them soft and comfortable to sleep with. The Howard Leight Max I are also among the best and most effective snoring earplugs. They block out much of the snoring sound or any other distractions when sleeping. The earplugs are shaped in an effective way that allows you to fit them in your ears with ease. I know you might be worried that the earplugs might fall or go deep into your ears, but be sure that they won’t. Howard Leigh Max1 are shaped like a bell making it harder to go deeper than you inserted. So it fits effectively. They are contoured making them easy to put in and out of your ears. 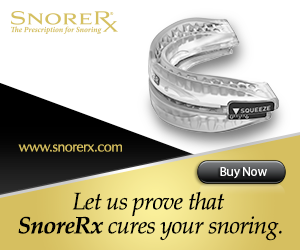 They have a 33NRR rating which means that they are very effective in blocking our snoring noise. If you are a side sleeper, then you might need Hearos Ultimate Softness. They are soft earplugs for sleeping but do not hold tightly like other earplugs. As you can tell from its name, these are a piece of very soft and comfortable earplugs for sleeping. They are also made of polyurethane foam. They are among the best in the market with a rating of 32NRR while as you know the highest has 33NRR. This simply means that you will enjoy your silent nights since they will block out most of the external sound when asleep. They are also among the easy-to-use earplugs in the market. They are easy to fit in your ears since they expand to the size of your ear canal to form an airtight environment. They are not too tight in your ears and they are also not too soft and loose to fall off when sleeping. Fit so well in the ears. They don’t fall off easily. Moldex 6800 Pura Fit totally block out all the noise and have been rated at 33NRR. They are made of a soft material that makes them so comfortable to wear and sleep with. For that case, they end up making you oversleep by failing to hear your morning alarm bell. They are longer in length and therefore becomes so easy to put in your ears and remove without causing any disturbance. They do not fall off from the ears since they will expand to fit your ears as soon as you insert them well. They are so easy to insert and have a firm grip so you don’t have to worry about it. These snoring earplugs also work best for those with longer ear canals and those who sleep on their back. But, if you have longer canals they will fit perfectly and you will not have to worry about your sleeping positions. They are uncomfortable for those with short ear canals. Fluent super sleep earplugs are not so long so they become easy to put on as compared to the other earplugs that we have looked at. Their length favors so much the side sleepers since they fit inside your ears so well without any sign of falling off even when you turn and turn in your dreams. They do not put any extra pressure on your eardrums when asleep hence you end up sleeping soundly and comfortably. They are also easy to insert and remove since they are made of a soft foam. They are soft making them so comfortable to sleep with. Because of the material they are made of, the earplugs will expand to fit the size of your ear canal hence blocking all the snoring sound from your sleeping partner. This is one of the best earplugs for sleeping that has been in the market since 1907. It is a well-established noise protection product that many have fallen in love with. Its unique components like cotton wool soaked in a mixture of petroleum jelly and a variety of paraffin waxes are what made users like it so much from back then up until now. Ohropax is extremely comfortable to wear and sleep with. They are ideally used for sleep, relaxation, medication and a sense of well-being. They are particularly suitable for use in non-classic areas such as large offices and computer/electronic centers with a noise level of 75dB(A) and below. These earplugs are recommended for use during work that requires a lot of concentration and loud music areas. Ohropax Classic is like a plug and play sleeping gadgets. When you put them in your ears, you do not have to wait for them to expand and fit inside your ear canal but they are always ready to use. The material they are made of doesn’t make you sweat when you have them on. They also do not put any extra pressure into your ears when sleeping. The makers of Ohropax advice you to use it only ones but I have seen a colleague use it several times before replacing. Therefore I can conclude that there is no much harm in reusing the earplugs but I believe the quality of noise blocking will reduce the more you use it. Therefore if you notice that it is not blocking much external noise then you should know that it is time to replace your earplugs. Ohropax has a quite high rating of 27NRR which means it blocks a good amount of external noise though not so much as the other noise canceling earplugs we have looked at. Many tend to not like it so much just because of the wax around it that leave your fingers sticky after inserting them into your ears. They do not cause allergies. They come with the color of your skin, making them invisible when worn. Now that you have seen the reviews of the best earplugs for sleeping with a snorer or any other noise that might distract you from sleeping well, it is time to decide which one you should go for. What should you consider when buying an earplug? When buying earplugs for sleeping, you really want to consider the material they are made of. This will help you in finding the best noise-blocking earplugs for sleeping. Ones which will not cause you any discomfort, irritation or allergies. This is the major determining factor for many when they are looking to buy any product online and even offline. Getting affordable earplugs is so important since it gives you the ability to test several of them until you find the best one for you. Cost should not be the only factor though. You might leave out a good earplug just because you think the cost is much higher than others while in real sense it has so much feature which justifies its high cost. Trust me, you don’t want to buy an earplug every day! When going for a piece of earplugs, you need something that will block out noise not ones but whenever you sleep. So when buying, go for earplugs that will serve you a longer period of time. You can try reusable earplugs for sleeping and see how it goes. Having a comfortable night is a wish that many of us share. Sleeping serves as an effective time for you to rest and make your body and its organs to relax. Therefore you need a sound calm night to achieve that. When shopping for earplugs, you should get the one that guarantees a lot of comfort. Earplugs that will fit correctly into your ears without falling out or going deeper than how you inserted them. They should not also be irritating to your ears since this might be an ingredient of insomnia as you try to rub roughly your ear canals. As you know by now, no single earplug can guarantee to block out snoring completely. Therefore, it is always advisable to test out different pieces until you find the one that works best for you. As you work to get the best earplugs for sleeping with a snorer, you can also advise your spouse or sleeping partner to find snoring aids that work to cure his/her snoring habits. Which is the best earplug for blocking noise for you?